I wrote a post last month, full of emotional baggage. I pretty much let every ounce of stress come out and I remember feeling a major lift from my shoulders. I was smart in not posting it, but I love that I kept a draft so that I can re-read it whenever I need a little reminder. In September, Almost Local officially opened. Every ounce of energy and strength went into that little shop and I’m so excited every time someone opens that door to come in. My family helped, my friends helped, and my rock start of a boyfriend dedicated everything he had to make my dream a reality. Countless nights we stayed up cleaning, organizing, ordering, picking, making. We ate more pizza and chicken nuggets than I would ever want to admit but in the end, we did it. We opened on September 14th, a nod to an angel that watches over us. The day of our opening I was running on two hours of sleep and had already went to work in the morning. I was beyond exhausted but pure adrenaline pushed me through to one of the best days of my life. Friends from all walks of life poured in, Maria from the Cremeria was serving gelato, Dusty and his partner played music outside, crafts were being made in our loft. It was AMAZING. Everything we had worked towards finally came to fruition. Every week, every day, we learn a little bit more on how to better serve our customers. We absolutely love meeting new people and seeing familiar faces. Our hope is that Almost Local provides a new shopping experience full of handcrafted, high quality goods in a beautiful setting. If I learned anything, it’s that creativity takes courage. It takes hope, patience, that in-the-gut feeling, and a whole lot of faith. I’m so fortunate to have such an incredible support system so thank you for continuing on this crazy journey with me. Visit us in Clinton at Almost Local, Wednesday-Saturday. Hannah is a kindred spirit that I was lucky enough to stumble upon in my central NY life. Absolutely smitten by her dark and moody photos, I followed along with her instagram and fell in love with a dreamy tree landscape she had posted. We became fast friends after she stopped to drop off said print that I had purchased and I bombarded her with two shoots I wanted her to participate in with me. I probably speak to Hannah at least once a day to share a funny story, vent, and also find inspiration. She even credits herself with the start of my relationship :) It's an amazing thing to connect with other creatives and encourage and support one another wholeheartedly. We've collaborated on multiple shoots together with so many more to come, and it's wonderful to see her grow on her photography journey. 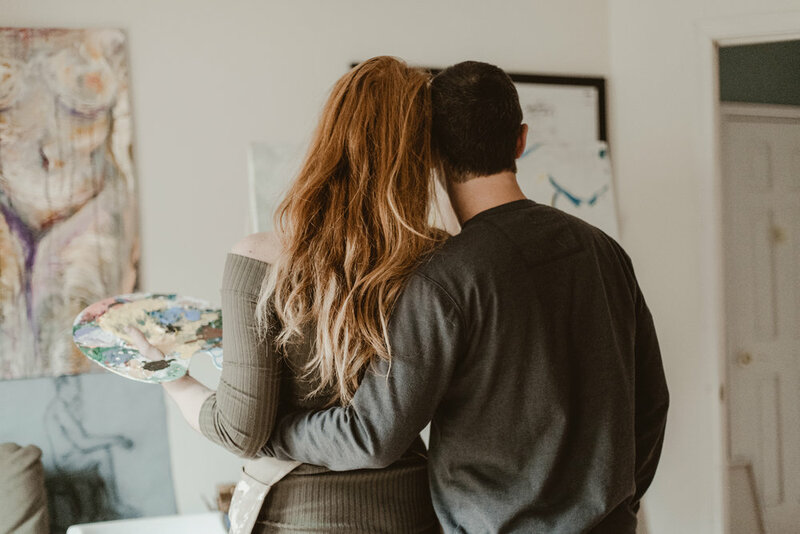 Q: Hannah, as a natural life photographer, you truly capture in home sessions and the beauty that is in “being home.” What draws you to these moments? Ahhh, in-home sessions are one of my favorite things to photograph. It's the intimate moments between two people who love to be around each other that I cannot get enough of. It's almost like... You know how everyone takes selfies? Usually it's just a planned, face forward, smiling picture? The in-home sessions really give you a chance to relax. It gives you a 'still life moment' when you may look at your partner a certain way after they kiss you on the cheek, or that real, authentic belly laugh after they say something ridiculously silly in your ear or the touch of your partners fingers through your hair... I absolutely love when the couple forgets I'm there and they are simply, home. Q: For those that are interested but nervous about having a photographer in their home, what do you suggest? What’s the best way to capture those relaxed, candid moments? LIQUID COURAGE! (just kidding... kind of.. ahha) A lot of people are nervous in front of the camera, let alone in your house trying to be cute, in love and intimate with your partner. I try my best to talk to people like they are truly my friend. Like we've known each other for so long and we are just hanging out while I snap a few adorable photos. I also explain to people not to have this idea of what the perfect picture is suppose to look like. When I start, I usually just say "Ok let me test the exposure to see if everything's looking right" and I snap a few photos. This "breaks the ice." I can tell when people are uncomfortable and if we get shooting and they aren't really feeling the pose, or their hair is stuck behind an elbow, I'll crack some jokes to get them laughing again! I'll also sit there and make fun of myself to get the awkwardness off them and put it on me and beeeelieveeeee me, there is plenty of ammo in that department. Q: Do you offer direction or styling? Absolutely! Once we get reallyyyyy going it gets easier and easier, but in the beginning I'll get them in the most comfortable pose possible. When I start shooting I gage how 'intimate' or touchy feely they want to get... and usually it feels silly when I say "just a lil closer.. ok ... yep just like half inch closer to her nose...yep! Perfect! right there!' and they start to laugh because they are like "ummm ok I'm pretty close now" and then you get those cute laughing moments with their noses touching, looking down, etc. I'll typically keep them in a pose for about 20 shots and i'll move around them while slightly adjusting their pose for the best possible shot. If something looks totally awkward and weird, I will definitely tell them! Sessions tend to take on a life of their own and I let them flow but with some correcting here and there. Q: What are some of your favorite photos? Hardest. question. ever. but I'll try haha! If I HAD and I mean, life or death situation HAD to choose... It's gotta be when the couple forgets I'm there for a second after I tell them to go in and kiss each other. I've had people peck on the lips, and I've had couples full on make out for a few minutes... I just let them go with the flow. I just love when people forget I'm there! Ok but my second favorite is when I tell them something like.... "okay, whisper your partners favorite vegetable in their ear in the sexxxiest way possible" that always gets a good laugh and the next ten shots are GOLD because they are truly laughing and close and in love and ahhh.. all the feels. Q: Do you offer other sessions other than in-home? I do! I absolutely LOVE photographing families, content for local businesses and events! I love families because it's a time capsule for the parents. I photograph in a very journalistic way, letting the session take it's own course. I love how fun kids are and I tend to tell the parents to just let them do their thing and let me take care of the rest. Content for local businesses is also a huge passion of mine. Giving a business a gallery of images that they can use for promos, social sharing and content for their website is an amazing feeling!!! And events? That's just a ball. I once photographed a high school reunion and it was probably the hardest I've laughed at a session, ever. Everyone was in such a good mood and ready to have a good time that it made my job easy! CANON BABY! I have two bodies, a 40D that I've had since college and I recently bought a 6DMII and OMG i am in love with this bad boy. I also shoot with a fixed 50mm 90% of the time, but also have an 85mm and a 24-105 lens. Being able to work creatively and express myself through photography is literally a dream, a ten year old dream in fact. I never thought I'd have the guts to work with real people... or have people even like my work... I thought I'd be too awkward or people would not how I operated, etc. When I hear people compliment me – its still a shock. I just love what I do and I want people to have amazing pictures. That's all. Hannah, thank you for being a wonderful person, artist, and friend. I can't imagine not being on this journey together. Visit Hannah at her website here. March Bridal Check-Up // Pretty Little Vintage Co.
With another month came new adventures since my last post - I've traveled a whole bunch for Adirondack weekend getaways, took some time off from work (for the most part), and have been trying to go to bed at a decent time (does midnight count?). 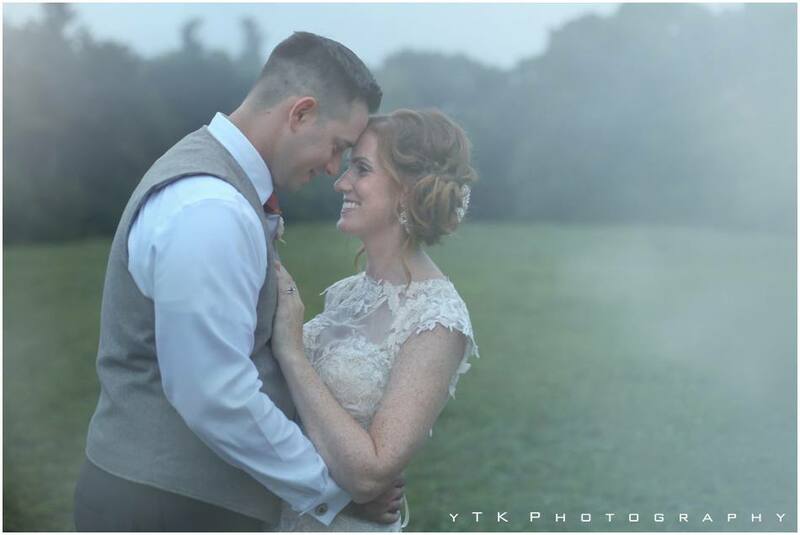 Working in the wedding industry, we've seen everything from the good to the bad, the beautiful to the omg-what-were-they-thinking, and my favorite – the ever-so-perfect, let the happy tears flow now kind of shindig. I'm incredibly fortunate to work with so many talented vendors that believe in the same vision that I do, and more importantly, believe in community over competition. Over the past year, these people have not only become co-workers but great friends as well. My lovely and strong friend Bri of Pretty Little Vintage Co. allowed me to ask her some questions about their process. This lady is tough, friends. At 5'7" with an athletic background, I'm pretty strong - but this girl moves whiskey barrels and sofas like nobody's business. She drives the same truck I do (yea!) and can maneuver a trailer without taking anyone out. Her hard work is evident in everything she does and I'm proud to call her a friend. Q: When should a bride meet with you? We recommend that couples meet with us as soon as they have a wedding date and location set! Pretty Little Vintage Co. carries one of a kind rentals that are on a first come first serve basis. We would love to make an appointment to go over our packages and pricing at the warehouse so they can see everything in person before booking. It is very common that we book multiple events in a weekend so if there is something that they just have to have at their wedding , booking early is best! Q: Do you have any recommendations to help couples envision their dream wedding? Our in-person meetings are just for that! Couples come to the warehouse and we chat about colors, details, themes, must haves and go over their wedding inspiration photos. We love to recommend pieces and design one of a kind displays and lounges that speak to the couple and show off their personality. Q: Vintage rentals, do you have modern pieces as well? Yes! 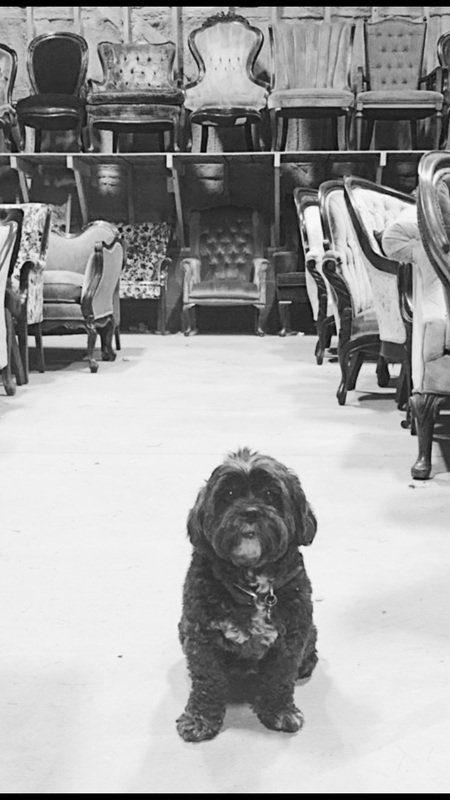 While the majority of our inventory is vintage, we do carry other specialty and more modern pieces that complement our vintage pieces flawlessly. Q: Coordination and styling, whats the plus? We don’t offer coordination or planning of weddings but are happy to recommend some talented vendor friends that do! If you follow us on Instagram or Facebook you can see our signature style and design. Our styling services help tie everything together and guarantee that you get the desired look you’ve dreamed about for months. We love to style our pieces in the event space while incorporating your floral and other decor. Q: What can a couple expect when working with you and Chris? When you choose us over other rental companies, it means the absolute world to us. We make the rental experience easy and go above and beyond to make sure you have nothing to worry about on our end. PLVxHD Collaboration - Rustic wood, pretty letters, a gorgeous table - perfect for my annual HarvestFest! Q: Your dog, Maggie, makes a lot of cameos. Does she have a favorite piece? Maggie does have a favorite piece! When we first moved into the warehouse, we were working in there a lot trying to get organized. Where we go, Mags goes - and she would always jump up on our pink sofa and take a nap when she got bored. If we couldn’t find her, we eventually knew to look there. She loves that sofa. So much that we even named it after her. Bri, you're a wonderful friend and an incredible business woman. Thanks for taking time out to answer these questions! Your dedication continues to encourage me every day! A gypsy soul is the perfect way to describe myself... and this shoot. 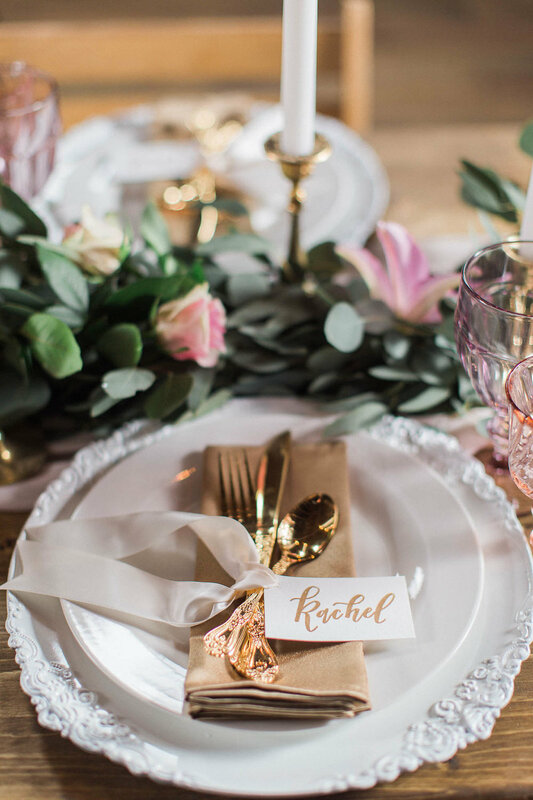 Full of rich colors with ambers and jewels, this bohemian shoot is quite the stunner. I may be biased because this is my style but I am just in awe of the collaboration that took place. 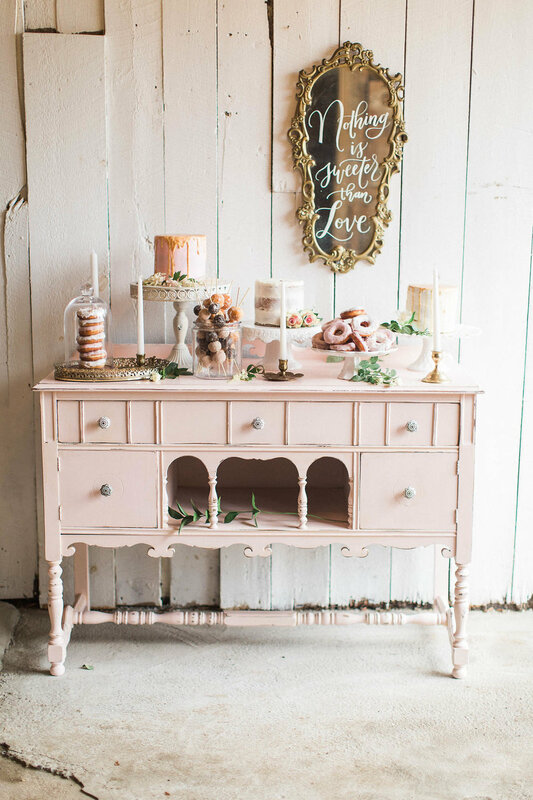 The most perfect dessert table! You are my greatest adventure. Available on etsy. Vintage Rentals & Styling: Pretty Little Vintage Co. 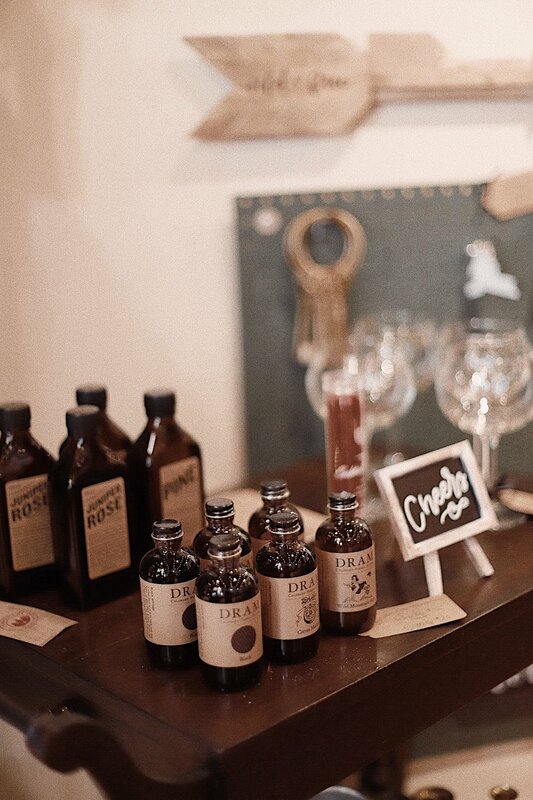 Tagged: bohemian wedding, central ny, Upstate NY, upstate ny wedding, cny wedding, rustic wedding, pretty little vintage co.
A few months ago I had the absolute pleasure of working with Bri of Pretty Little Vintage Co., the cutest vintage rental company in New York (actually anywhere!). We met through instagram and she was kind enough to introduce herself and invite me to participate in my first styled shoot. I poured over pieces I could bring and embarked on my journey to NNY to the Iva Smith Memorial Gallery, a big ol' barn turned gallery turned venue. I did not dress nearly warm enough but had the best time hanging out with my new friends and being behind-the-scenes. Little did I know I would make a truly wonderful friend and then be asked to participate in even more shoots! 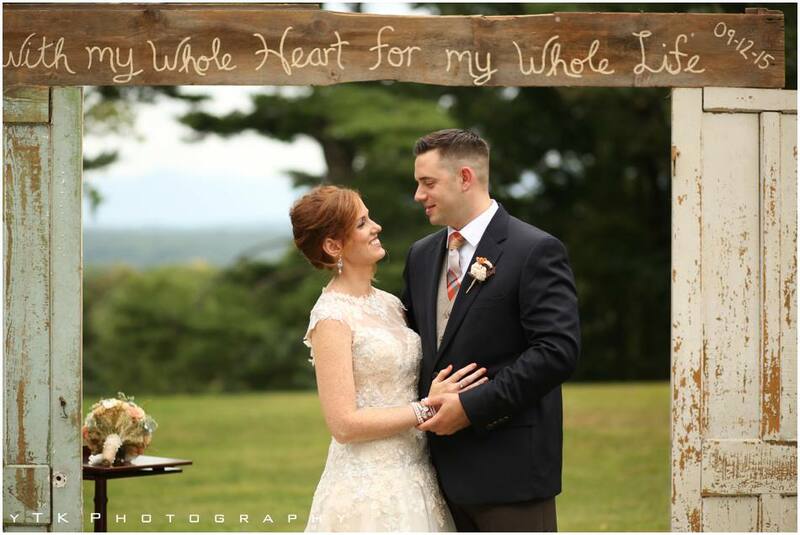 These photos are sure to make any barn-lover swoon, we had an incredible photographer, Anna Elizabeth Perkins, truly capture the moodiness of the venue. 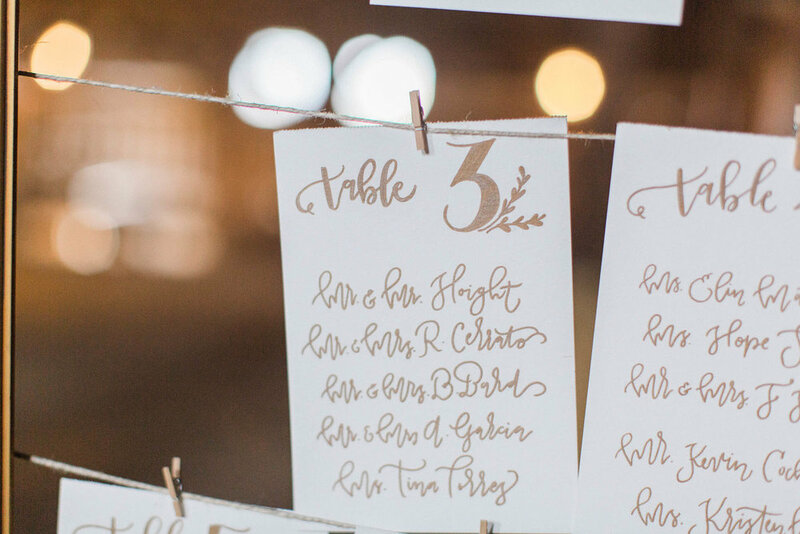 Candlelit, rustic, and oh so perfect... see below for the details of this incredible day. I am not someone who easily establishes roots. I make decisions in haste, I think quickly without fully weighing my options, and I often both enter and leave a situation in a whirlwind. I know this about myself, and understand how frustrating it may be to others who care and love me. When talking with a friend and her mom one weekend, I spoke about all my transfers throughout college and all the half-hearted applications I put through but never fully completed. My city existence has been replaced now with country roads lined with corn stalks and Mayberry-esque towns where not only does everyone know my name, but they know my dog as well. I'm sure someone has taken bets on how long my central NY living would be, but y'all, last month was one full year, and I'm still here. I did move (shocker) but from a townhouse to a big beautiful house all to myself. I know that moving 4 hours away is not a dramatic thing to do, but I did leave behind all that I knew. I had to say goodbye to my family and friends, and the ability to see them whenever I wanted. It's still hard to say goodbye and every now and then, my heart aches when I see photos or know of plans I can not partake in. My best friend is getting married in April, and it killed me to not be able to go home and try on bridesmaid dresses with her. However, my life in CNY has been 100% curated by me. Past decisions and poor choices were no longer part of my everyday, and I've had the ability to rework my journey. Sure, I've hit hiccups along the way, some little and some big, but each day I'm tackling things head on. So here I am, one year later, and roots have started to develop in the little town I now call home. I feel safe, and I'm so thankful that I trusted my journey to get to this point. Full of white pumpkins, whimsical lettering, and vintage goodness, I'm thrilled to introduce my very first video for HD's fall 2016 collection. I'm so happy to see my little studio apartment business slowly coming together. The journey is a journey for a reason - it's more than overnight luck, or knowing the perfect way to make things happen, it's about figuring it out as you go and working hard along the way. There have been sleepless nights, both happy and sad tears, and a lot of life lessons that I've learned - but I wouldn't change it for anything. Visit my etsy shop to see these listings, they are live! Music by the talented @dustyleeelmer. More to come on this new blog... Stay tuned!